For the next five weeks we are going to be partying all the way from Spain. my latest 4th of July Project to help us celebrate Independence Day. Firecracker Treat Pops… You can find the tutorial here. OK! It is time to give High 5 to our favorite projects! 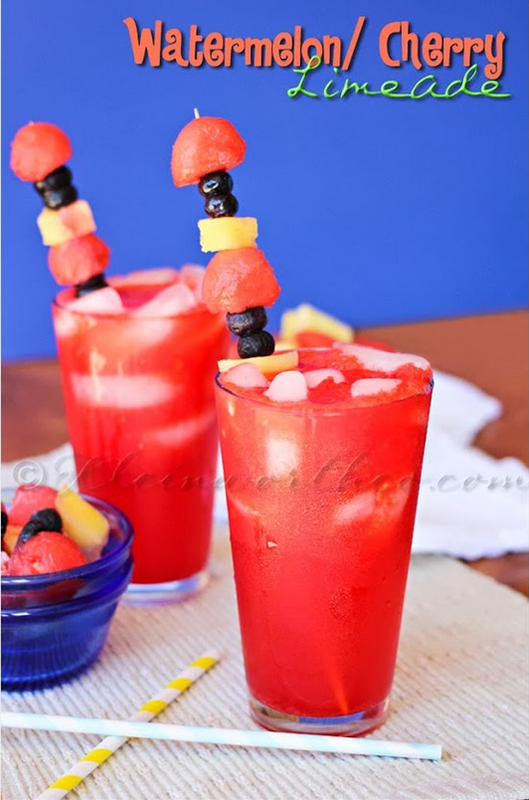 Watermelon cherry limeade at Kleinworth & Co.
…because it looks so refreshing! 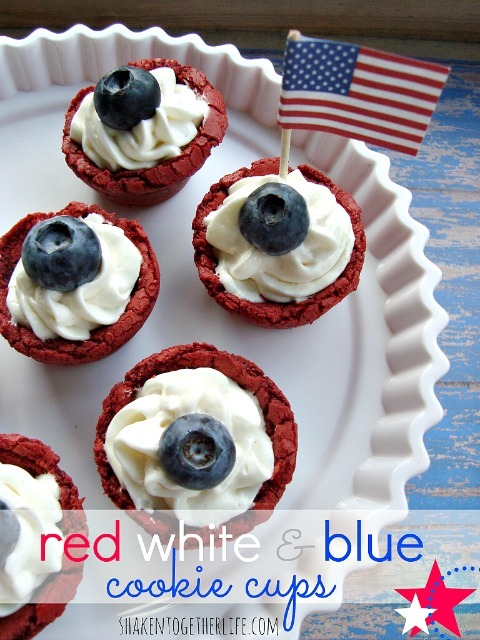 Red, white and blue Cookie Cups @ Shaken together life. USA Punched Cans at The Scrap Shoppe Blog. 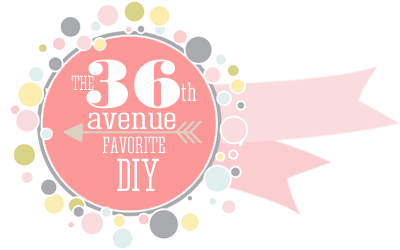 4th of July Free Printable Paper Chain at Love the day. 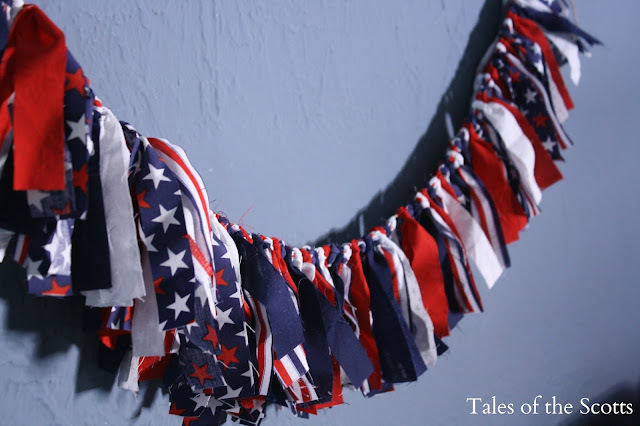 Stars and stripes garland at Tales of the Scotts. 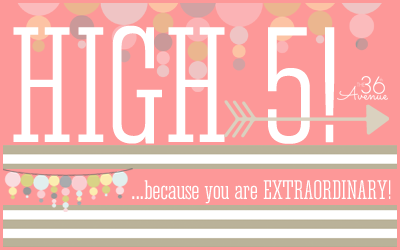 …because I simply love it! Pallet Wood American Flag @ Happy, Healthy and Domestic. 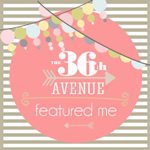 …because this project looks amazing and you can do it almost for free. 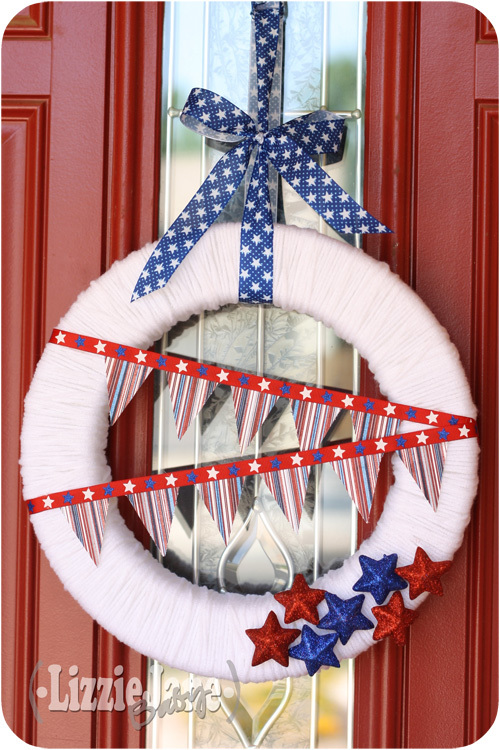 4th of July Wreath by Lizzie Jane Baby. 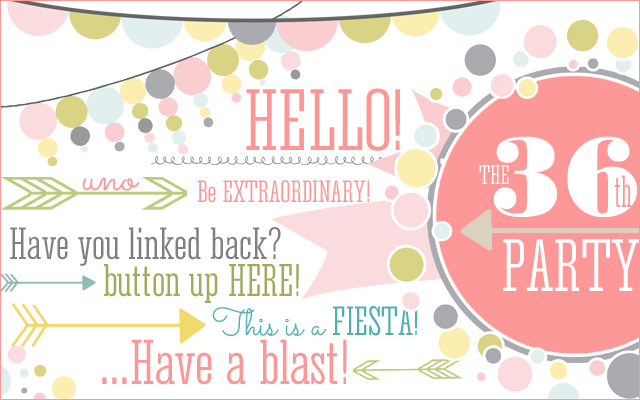 …because it is super festive and cute! 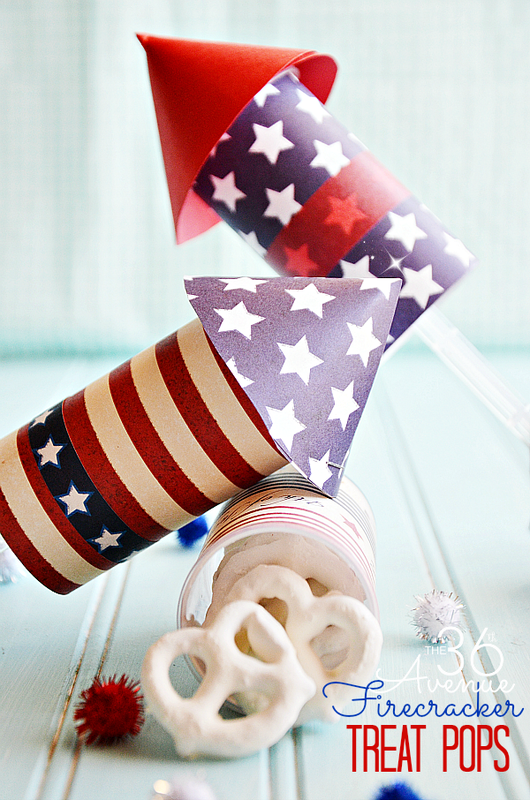 I love all of these 4th of July projects… They are super fun and patriotic! 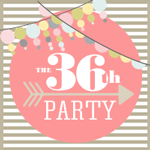 Thanks for always hosting a great party! And thanks for featuring my wreath! Thank you so much for hosting such a great party!! !